My family and I were checking the prices of used Nissan Leafs all across the metro Atlanta area. 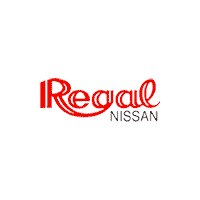 We went to another dealership and their tactics were not up and up, soI was a little bit on the defense when I contacted Regal Nissan. I made a phone appointment and my salesman Tyler Jackson worked around my schedule, (Plus #1), when I entered this beautiful showroom he met me at the door and was very knowledgeable of the Nissan Leaf (Plus #2). He was able to talk about all the technology, how it worked and specifically what it did and did not do. The cars were priced exactly the way we saw them online, we did t have to ask for the price we saw(Plus #3).. We just want to thank Tyler for sharing his knowledge about the Leaf, we are now proud owners of a 2018 SL Nissan Leaf. We worked with our salesperson Gery. She's enthusiastic, knowledgable, and works hard to ensure you have all of the information you need to make the right purchasing decisions. During closing, she went above and beyond to ensure the day went as smoothly as possible. My wife loves her new Leaf! Armando was great. Quoted me an noir and a half and was done until about an hour. I also enjoyed the text where it lead me to a webpage that discussed my car.